As the world’s economies jostle for increased access to Africa’s natural resources, there have been renewed concerns over how the continent can ensure maximum beneficiation, which will propel economic growth. Initiatives such as the 2007 Big Table themed ‘Managing Africa's Natural Resources for Growth and Poverty Reduction,’ which was held in Addis Ababa, stress the need for frank discussions on the challenges to effectively managing Africa’s natural resources. Although Africa is richly endowed with mineral resources, it is also characterised by widespread poverty and conflict. Africa’s minerals are largely exported in raw form, which means the continent does not benefit in the way it would have if it were to process these resources. The East African Community has several mineral belts that produce, among others, tanzanite and gold, with Tanzania being the biggest regional gold producer. 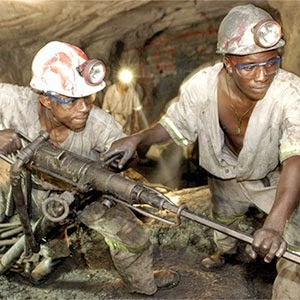 Burundi also has some gold reserves, along with copper, cobalt, nickel and uranium deposits. Exploration activity in western Kenya has also increased significantly over the past few years. East Africa, on the whole, is on the verge of discovering huge reserves of mineral resources, oil, and gas. But do these discoveries give East African countries hope? The outlook for Africa’s mining sector is bright, as huge tracts of East Africa remain largely unprospected. But for citizens, the hope that natural resources will be managed responsibly is waning rapidly. Recent oil, gas and mineral discoveries in the region, especially in Kenya and Uganda, have attracted substantial international interest. However, shortcomings in the way these resources are governed limit the extent to which these countries will be able to benefit from the discoveries. In particular, local communities in resource-rich areas are excluded from decision- and policy-making processes. Out-of-date legislation further undermines the possibility of local communities benefiting from the discovery and extraction of natural resources, which may instead bring forth conflict. The principal legislation governing mining in Kenya, for example, is the 1940 Mining Act, which dates back to the colonial era. Exploration of natural resources continues to grow. However, the region seems to be very slow in laying down legal structures to guide extraction in a way that benefits local communities, and the country’s citizens more generally. The current mining bill in Kenya is a good example of how the state can make laws without duly consulting the citizens. The bill has technically excluded citizens from the management and governance of mineral resources; thereby enabling political elites and private extraction companies to enjoy massive benefits, while effectively diminishing any chances for citizens to enjoy the same. Having been excluded from decision-making around grants and conditions of prospecting or mining licenses, citizens have no idea what mining near their communities will mean for the future generations. Questions such as potential harm to the environment, or whether there will be an increase in livelihood opportunities, remain unanswered. Indeed, political elites seem to be more interested in collecting taxes and personal benefits than findings ways to ensure the resources will benefit future generations. The current crisis in South Sudan is arguably continuing, in part, due to access to natural resources. In this country, oil provides about 98% of national revenue. Since the Comprehensive Peace Agreement (CPA) in 2005, billions of dollars from oil exports remain unaccounted for by the government. This has contributed to the unrest in the country, as communities in the oil- and mineral-rich states fear they will be abandoned once these resources are exhausted. There are no measures in place to prevent this from happening. Concerns from local communities are increasing across East African states. The recent attacks in Lamu, Kenya, were partly a reaction to perceived injustices in natural resource governance. In Turkana, where there have been discoveries of huge oil deposits, conflict may also increase if benefits to local communities are not clearly planned and realised. The role of county-level governance of natural resources management still remains unclear. In the past, communities would suddenly wake up to find private mining companies on sites near to them, without prior consultation or engagement. Often, the police are used to protect private companies at the expense of communities who are frustrated at being ignored. Strong economic growth in most resource-rich African countries has failed to make a significant dent on their poverty levels. This is because governments and multinational companies fail to reinvest resource revenues into public services such as health or education, or to improve local employment or livelihood opportunities. Resource dependency often insulates national leaders from public pressure, since they do not rely on taxation of their populations for revenue. This enables public revenues to be diverted to patron-client networks, instead of being reinvested in the national economy. There is an urgent need to rethink the governance of natural resources in East Africa if these countries want to maintain or promote growth, peace and stability. A major component of this would be to develop a set of guiding principles for the private sector in consultation with governments, civil society groups, citizens and global initiatives like the African Mining Vision.